It’s Not about Better Problem Solving! This is the third post in a series on the seven first principles of regeneration, drawn from living systems sciences. A regenerative business sees the world in terms of potential rather than problems. By focusing on the core of what’s trying to happen instead of what already exists, a company is able to introduce profound and transformative disruptions into an industry. For example, PayPal enables people to engage directly in exchange, bypassing the problems created by banking infrastructure. Instead of trying to improve banking, business PayPal asks what customers are trying to pursue and invents the means to support them. This requires reining in the strong tendency to start with what is already in the system, and instead to focus on the evolutionary impulses behind what people are striving toward but not yet able to accomplish. When you start well-intended efforts by identifying a “problem,” you are trapped into thinking that you have to fix it. This leads you on a search for the causes and results in efforts to try out many solutions. It pulls all of your energy toward an endless effort that is based on the mindset that got people into the rut in the first place. Einstein warned us about that. But how to do we not start with what exists, what we already have? Don’t do surveys to find out how people feel or what they want. They are starting with existing conditions and trying to improve on them. Do not do an environmental scan or try to build a database of existing skills or resources and figure out how to make better use of what you already have and are currently doing. Don’t ask customers what they want. They start with what they have and how it doesn’t work or isn’t sufficient. Plus, they’ve already told your competitors what they want and sent them on a wild goose chase. Don’t pay consultants to collect data for you. That’s a waste of money. It can never lead you to innovation or better competitive positioning, much less disruption. And, according to the Harvard Market Research Center, most customers won’t respond well to what you come up with based on data. Maybe it’s not a surprise that no matter how well intended the effort, focusing on problems doesn’t eliminate them, only makes room for them to become chronic. Getting people to behave less badly is counterintuitive to the human brain. We are asking people to punish themselves and every bit of research in the world of motivation says this does not work. Okay! Okay! So what do we do? As crazy as it sounds, we skip over what exists. We act as though the problem doesn’t matter. This sounds harsh, even cruel, but consider: within regenerative processes, problems are not useful information. Nature doesn’t care that rat populations are exploding in the suburban countryside. Regeneration in this instance occurs when this niche within the ecosystem is filled by returning populations of foxes and owls. Circumventing problems is how much real change comes about and particularly the kinds of change that disrupt markets—and also history, for that matter. Instead of lamenting a problem, ask, “What are customers (or the planet or social groups) seeking to achieve and why?” This is the route to the creation of something that doesn’t yet exist. Don’t look at why current methods aren’t working. Keep your eye squarely on the your buyer’s intention, on the intentions of living systems and social groups. How can you make their lives, as a whole, more workable. To be clear, I am talking about the highest intentions of people as communities, not selfish individual ideas. What is possible in order to make our lives and the living Earth around us what they are intended to be? Thinking along this line is how Elon Musk got to Tesla. He calls it starting with first principles. He saw that people want to get from one place to another, to go places that enhance living. That was it. So he didn’t improve current automobiles; he bypassed the current concepts and started with the core intention. This is also how Larry Page and Sergey Brin got to the driverless car. They didn’t try to solve a problem in the existing system, foundering on what is currently being explored. They asked what are the core processes involved in moving from place to place, under all conditions. We can see this at work in the physics of energy. Kinetic energy is already released and has exhausted its potential. The only place where the potential for qualitative change exists is “before”—before energy is manifested and spent, before problems are created. Regenerative thinking dwells in this before, with the potential for what can come into existence. Seeing true potential requires us to go back to the DNA of our intentions, conscious and unconscious, back to first base, where the uniqueness of the opportunity exists. What is screaming to be directly realized directly? This is the question that PayPal answered when they noticed that customers were encumbered by the current banking system and could be released by a method to make direct payments. The same is true for engaging with people. For example, when we pay attention, we see loads of potential in the children around us. We see their shortfalls as well; there is no end of shortfalls to fix. But if you start with who a child really is, deep inside, what makes them unique, and you help them realize more and more of that, to become closer and closer to their own singularity, then they thrive. Who wants to make a child “less bad”? Don’t we instead want to support them in their quest to realize their unique potential? And don’t we feel the same about each new business and each watershed? No two living systems are the same; each is pursuing a unique potential. Find that and you become a great business leader or a great biologist. Going back to the DNA of an intention is graspable by looking at how a starfish regrows a broken limb, which I mentioned in my last blog. 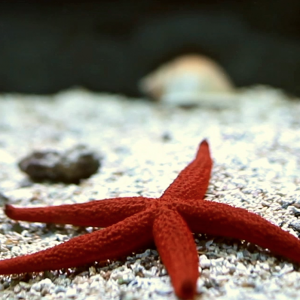 A starfish or a salamander is capable of regenerating a limb lost as the result of injury, disease, or aging.Some of their cells are able to reform and resume their stem cell nature. They use the DNA of that specific animal, in that ecosystem, and then regenerate a new set of cells. Regeneration is always about going back to base material and regenerating from what is at the core. The regeneration process bypasses the existing problem, a missing limb. It doesn’t try to sew it back on or build an artificial replacement, or teach the animal to adapt to its loss. It generates the limb anew, from the same base that created the original one. As it does so, it takes account of changes over time, the evolutionary capacity of natural systems, and adapts the new limb to the starfish or salamander’s current age and habitat. That is the way a regenerative thinking process works for economies, agriculture, investing, or any other arena. Find the core of the intention. At The Regenerative Business Summit, we are creating a way for people to explore the ideas and principles of regeneration for themselves. “How can we increasing work regeneratively?” The summit will include no outside experts, panels, or business promotion, but will work entirely attendees who have been testing their own ideas about regeneration and who want to work together in a field of inquiry to explore and apply new ones. They will engage in business assessment processes to decide where they are on a path and where they want to go with regard to regeneration. Attendance at the summit is by invitation only and we are filling up fast. Please check our website, TheRegenerativeBusinessSummit.com, and let us know if you would like an invitation. Also read about our opening night festivities, which will include the awarding of The Regenerative Business Prize. You might like to nominate your own or another regenerative company. Please also talk to us about joining the movement to create more and faster change through Enlightened Disruption. Save the Date: First Annual Regenerative Business Summit. Oct. 18- 20, 2016. From Friday Evening on 18th to Noon on 20th. Seattle WA. At The Foundry by Herban Feast. I am looking for the link that was in recent newsletters to sign up for further info. You may know where it is. I will send when i find. This article was reposted from Carol Sanford Institute with permission from the author. The original post can be read here. This entry was posted in Regenerative Enterprise and tagged carol sanford, Entrepreneurship, potentials, regeneration, Regenerative Business, Regenerative Enterprise, Social Capital, Social Entrepreneurship, sustainable brands, Triple-Bottom Line by regenerateadmin. Bookmark the permalink.